N scale train models (toy trains) is a largely extended hobby shared by many enthusiasts in different countries. These N scale model railroad train sets and their layouts are very variate and can provide thousands of hours of entertainment. Although they are toy trains or toy models, they are really highly accurate representations of real machines. 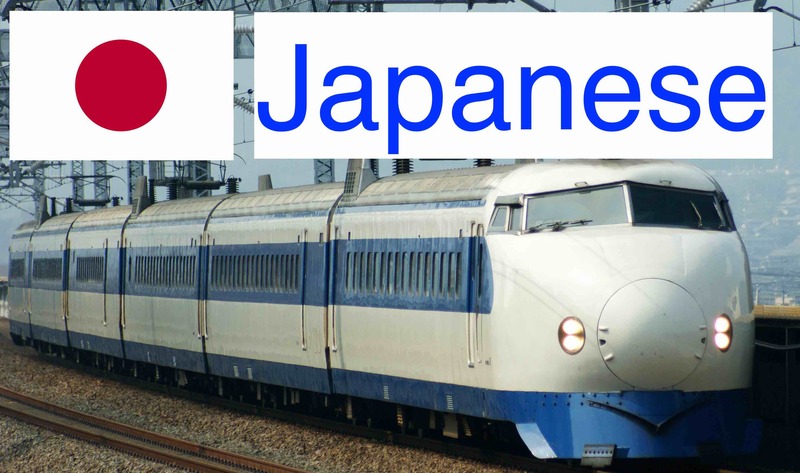 In Japan, the high speed railway trains are called Shinkansen (they are also referred in English as bullet train) These kind of special trains are operated by five Japan Railways Group companies. The first company started in 1964 with the Tōkaidō Shinkansen, but quickly the network was extended and it has now more than 2,700 km. The peaks of maximum speeds varies from 240–330 km/h. The current network connects Japanese cities on the islands of Honshuu and Kyushuu. More recently, a Shinkansen station has been added to Hakodate on northern island of Hokkaido. A connection line to Sapporo, capital city of Hokkaido prefecture is under construction. Although the official high speed is 330 km/h, some experimental test runs have reached 443 km/h for conventional rail in 1996. By using maglev trains, the speed became a world record 603 km/h (April 2015). The composition of the trains also varies up to seventeen cars long. Each car has a length of 25 meters, therefore a completed car train can be 400 meters end to end. There are several types of Shinkansen trains and models operated by the JR Shinkensen lines as follows. In general the 0 series are the olders one, and the N700 is the newest one. Tokaido and Sanyo Shinkansen (Latest N700 operates from 2007). 0 series: The first Shinkansen trains which entered service in 1964. Maximum operating speed was 220 km/h (135 mph). More than 3,200 cars were built. Withdrawn in 2008. 100 series: Entered service in 1985, and featured bilevel cars with restaurant car and compartments. Maximum operating speed was 230 km/h (145 mph). Later used only on Sanyo Shinkansen Kodama services. Withdrawn in March 2012. 300 series: Entered service in 1992, initially on Nozomi services with maximum operating speed of 270 km/h (170 mph). Withdrawn in March 2012. 500 series: Introduced on Nozomi services in 1997, with an operating speed of 300 km/h (185 mph). Since 2008, sets have been shortened from 16 to 8 cars for use on Sanyo Shinkansen Kodama services. 700 series: Introduced in 1999, with maximum operating speed of 285 km/h (175 mph). Now used primarily on Hikari and Kodama services. N700 series: The most recently introduced type on the Tokaido and Sanyo Shinkansen, in service since 2007, with a maximum operating speed of 300 km/h (185 mph). 800 series: In service since 2004 on Tsubame services, with a maximum speed of 260 km/h (160 mph). N700-7000/8000 series In service since March 2011 on Mizuho and Sakura services with a maximum speed of 300 km/h (185 mph). 200 series: The first type introduced on the Tohoku and Joetsu Shinkansen in 1982 and withdrawn in March 2013. Maximum speed was 240 km/h (150 mph). The final configuration was as 10-car sets. 12-car and 16-car sets also operated at earlier times. Withdrawn in 2013. E1 series: Bilevel 12-car trains introduced in 1994 and withdrawn in September 2012. Maximum speed was 240 km/h (150 mph). E2 series: 8/10-car sets in service since 1997 with a maximum speed of 275 km/h (170 mph). E4 series: Bilevel 8-car trains in service since 1997 with a maximum speed of 240 km/h (150 mph). E5 series: 10-car sets in service since March 2011 with a maximum speed of 320 km/h (200 mph). E7 series: 12-car trains operated on the Hokuriku Shinkansen since March 2014, with a maximum speed of 260 km/h (160 mph). W7 series: 12-car trains operated on the Hokuriku Shinkansen since March 2015, with a maximum speed of 260 km/h (160 mph). 400 series: The first Mini-shinkansen type, introduced in 1992 on Yamagata Shinkansen Tsubasa services with a maximum speed of 240 km/h. Withdrawn in April 2010. E3 series: Introduced in 1997 on Akita Shinkansen Komachi and Yamagata Shinkansen Tsubasa services with a maximum speed of 275 km/h. Now operated solely on the Yamagata Shinkansen. E6 series: Introduced in March 2013 on Akita Shinkansen Komachi services, with a maximum speed of 300 km/h (185 mph), raised to 320 km/h (200 mph) in March 2014. H5 series: 10-car sets entered service from March 2016 on the Hokkaido Shinkansen with a maximum speed of 320 km/h (200 mph). 700T series is a Japanese made 12-car trains based on 700 series which operates from 2007 inTaiwan. The maximum speed is up to 300 km/h approximately.